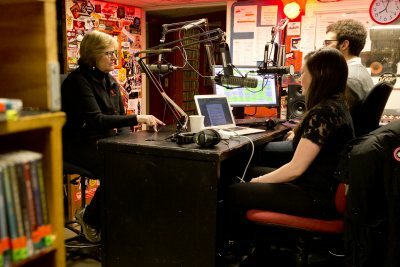 Spencer's interview on student radio station WRBC-FM touched on a range of topics, including the obligation of a liberal arts college to help graduates get job and what responsible investing looks like. Seabear, a band based in Reykjavik, Iceland, performs indie folk at 9 p.m. Monday, March 29, in the Benjamin Mays Center, 95 Russell St. The concert is open to the public and admission is free. For more information, please contact this email. 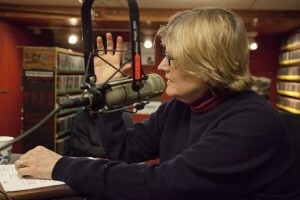 The concert is sponsored by the Bates College radio station, WRBC 91.5 FM. The Brooklyn-based electronic pop duo Matt and Kim performs at Bates College at 9:30 p.m. Friday, Sept. 18, in Chase Hall, 56 Campus Ave. The Icelandic newspaper Fréttablaðið took note of dance band FM Belfast's tour of the U.S., including a stop at Bates College that was sponsored by WRBC-FM. Besides offering a concert, the Icelandic band participated in a discussion about the recession in their homeland. The Bates College Radio station, WRBC, brought Icelandic band FM Belfast to perform a free concert this past Saturday night for the Bates community. A totally great band that I would never have discovered were it not for the WRBC, the four fashionable Icelandic rockers also participated in a symposium on Saturday, similarly open to the Bates community, in which they discussed what’s ACTUALLY going on in Iceland Bates’ own Associate Politics Professor Aslaug Asgeirsdottir, also of Iceland, providing two contrasting but informed points of views. Musicians from Texas, Ohio, North Carolina and Maine will bring fresh perspectives to traditional sounds during the third annual WRBC Roots Music Festival from noon to 5 p.m. Saturday, May 15, at the Florence Keigwin Amphitheater, adjacent to the Olin Arts Center, at Bates College, 75 Russell St.